One of the great things about the web is how it enables people from different cultures, nations, and backgrounds to interact with each other. Sometimes, however, the sheer language diversity of Internet users can make using websites a difficult task. 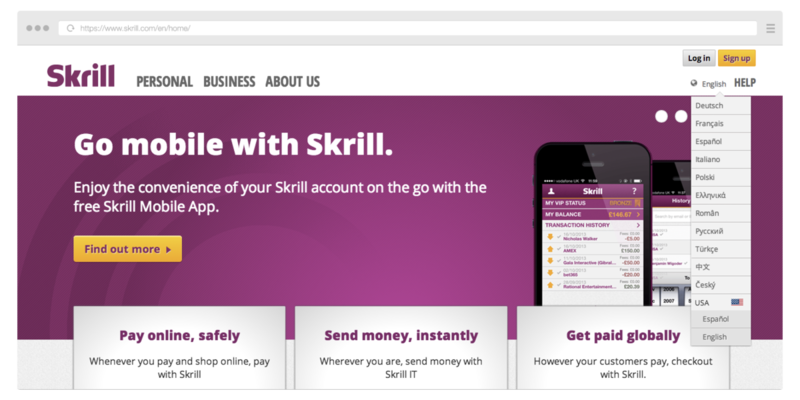 Luckily, as creating multilingual sites with the Ruby on Rails framework is easy (just take a look at one of the projects we took part in, Skrill, that supports several languages) we can focus here on more UX-related tasks. One of the maddening things about human languages is that each plays by its own set of rules. What works in German, for example, may be off limits in English, while sentence structures that are perfectly acceptable in French are considered bad form in Chinese. 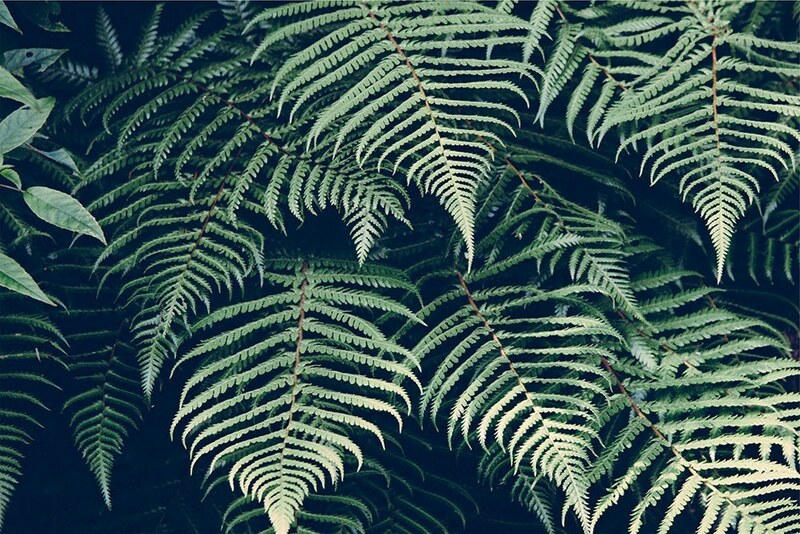 What does this have to do with page design? Simply this: Depending on the language, you may need to reverse the layout (for languages that read right to left, such as Persian and Arabic). You may also need to adjust font sizes to make the text more readable, as is often the case with Korean and Chinese characters. One way to mitigate these difficulties is to create separate style sheets for each language. Choosing which languages your site will be translated into is a business move that should be made before finalizing the site, as layouts may differ depending on your chosen language. For some sites that do not have many visitors who use Arabic or Hebrew, it might be more cost effective to leave these languages out, negating the cost of an entirely different layout. 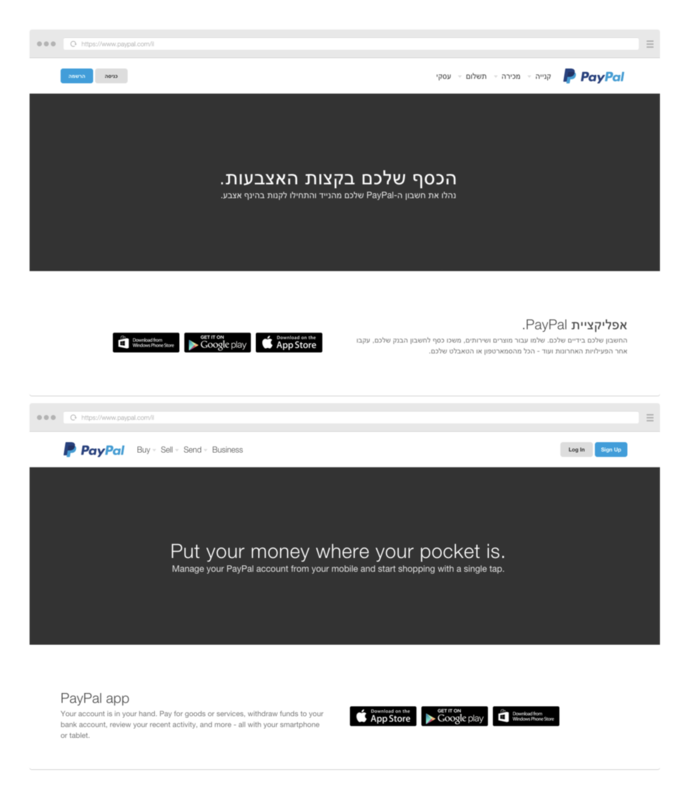 PayPall's site for Israel in English & Hebrew versions. Notice the same content & features but a mirror layouts. How to choose the right language? The simplest and most direct way to handle multilingual websites is to list all the available languages on your homepage menu. For a multi-page site you should repeat the list for every page, as many visitors will not enter your site through the main portal. It’s much better to use terms from the respective languages to symbolize links, not national flags. This is especially true when it comes to multilingual countries like Canada, in which both English and French are commonly spoken. The English language covers many flags of the world, which one should be used to represent English? @g16n BTW: Fun story: two friends visited me when I lived in Vienna and couldn’t find the tourist map in German. It had an Austrian flag. Flag issue: which flag should stand for the German language? Additionally, people may feel that they are associated with a particular country and click that flag, even though their primary language may not be the official language of the country. Using keywords allows the reader to make sure that they are choosing the correct site and translation. Cultures are more than just languages. They include local customs, codes of behavior, value systems, and thousands of other idiosyncrasies. This has crucial implications for every aspect of your web design. To understand why, take a look at this talk from Front-End conference by Gunnar Bittersmann, describing the differences in formats of first names and surnames in different cultures or languages. A great example taken from the talk: for some cultures, the surname comes last, while in others it is the first. When translating forms and other pertinent spots in a website, these labels would not only need to be put into the correct language, but also changed in location. Being culturally aware when translating a website is an important part of making sure you make customers from other cultures feel welcome. As the world grows more interconnected, multilingual websites will become the norm. A multilingual Internet will also provide rich new opportunities for both commerce and exchange of ideas. Making sure a website is friendly and welcoming to customers and readers of all cultures and language backgrounds is a great way to allow your website to grow into a multinational phenomenon. And keep in mind: a website that doesn’t update its content quickly become stale and loses visitors' interest, so make sure that all the language versions are up-to-date!